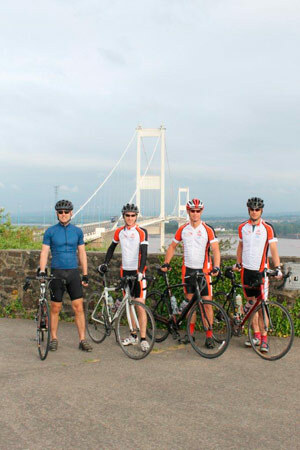 THREE colleagues are cycling 880miles from Land’s End to John O’Groats in the name of charity. Veterans’ charity Stoll, which provides housing, health and well-being activities, outreach and a monthly drop-in featuring 20 agencies, is delighted to be one of two charities benefitting from this gruelling challenge. The demanding eight-day trial involves around 110 miles (7-8 hours) of cycling and an average elevation gain of 5,660ft each day; by the end of their journey they will have cycled uphill to an elevation higher than Mount Everest! Howard Wilding, Patrick Fryer and Ben Drinkwater work for Helyx SIS Ltd. They’re being followed by their very own “white-van man”, Nick Sutherland, who is transporting bike spares, camping gear and first aid equipment. Follow #HelyxTeam on Twitter to track their progress.